The zeal to write about a new place I visit and publish the photograph has tempered down, if not dead, since I started at the business school. However, the list of fantastic places I visited during this calendar year has been nothing short of incredible and unexpected. Though some of the places I visited was on my mind for quite sometime, few others were not. Visiting a place that you have not even heard of doesn’t happen that often, especially to someone like me that had made a list of places to travel around the world in a year. In January 2012, I was in Bangalore. Starting from there, I have covered over 56,000 miles in 8 months and set foot on 4 continents in one year. Though most of my travel happened over the summer and mostly for work, it exposed me to a variety of cultures, economic diversity, languages, architectures, lifestyles and much more. Travel on work also provided some opportunity to visit some spectacular places. While in Peru, I took time off to visit Machu Picchu and while in China, I visited the Great Wall. During my visit to Delhi on work in 2010, I visited Taj Mahal. 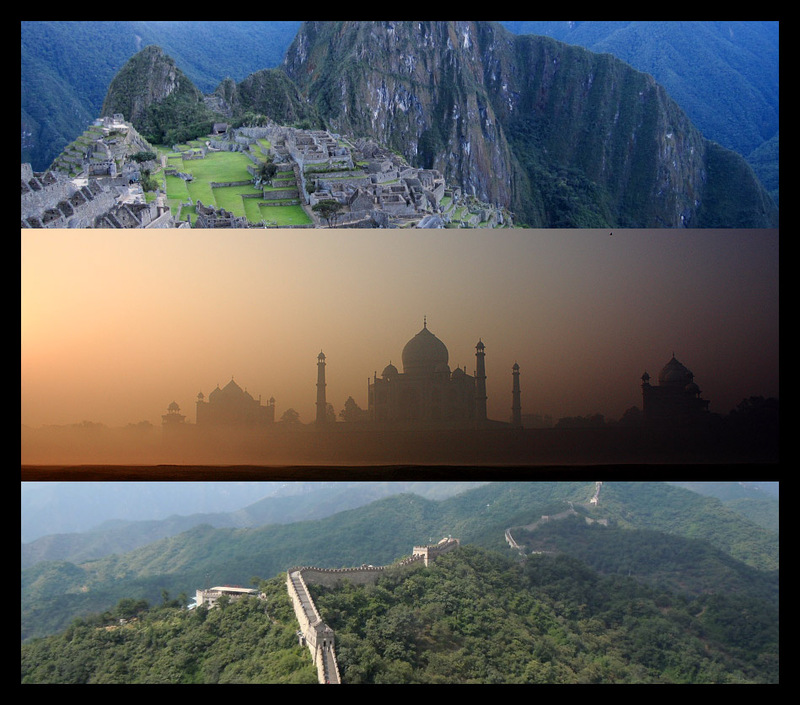 That completes 3 of 7 wonders of the world as per New7Wonders list. These unexpected visits has spurred motivation for me to visit all the 7 wonders of the world. Wonder when that would happen!